This special screening is presented with a live musical accompaniment. Due to the live element of this event, latecomers will not be admitted. Please note: This film will begin at the advertised time without adverts or trailers. It’s hard to imagine a filmmaker focusing on a single player for an entire game or match, but that’s just what German filmmaker Hellmuth Costard did in 1970 – filming Manchester United star George Best for an entire match. This hypnotic portrait of the Manchester United legend trains multiple cameras on the footballer over the course of a match against Coventry City. Made at the height of Best’s fame and tabloid notoriety, Costard’s film focuses insistently on Best – warming up, looking restless and bored, waiting to unleash his genius – rather than the on-pitch action. The result is a sublime and revealing rumination on celebrity, and a tantalising glimpse of the man behind the myth. 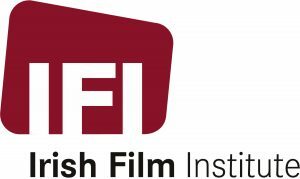 Presented as part of IFI International 1916 – 2016 Centenary Programme. Supported by Culture Ireland, the Arts Council of Ireland and the Goethe-Institut Irland.